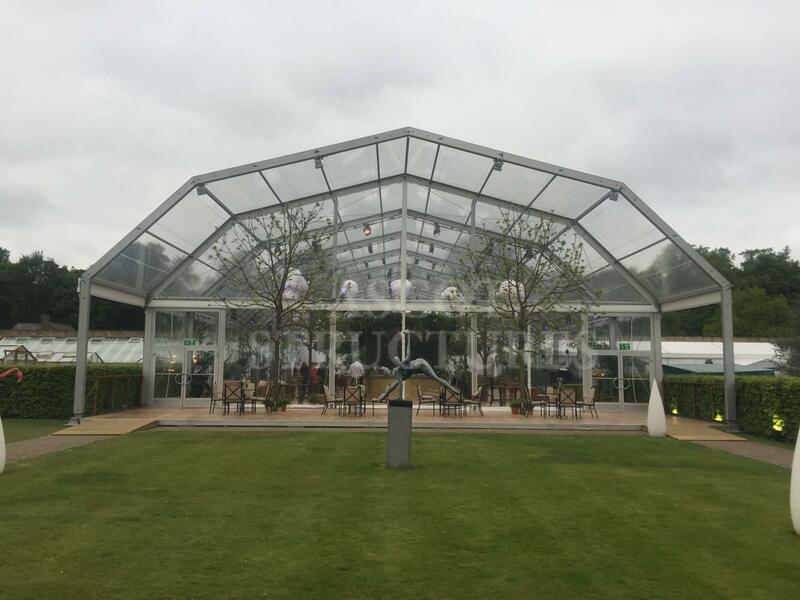 The Polygon, as the name suggests, is a brand-new, state of the art, multi-side structure that boasts both impressive heights and weight load bearing. 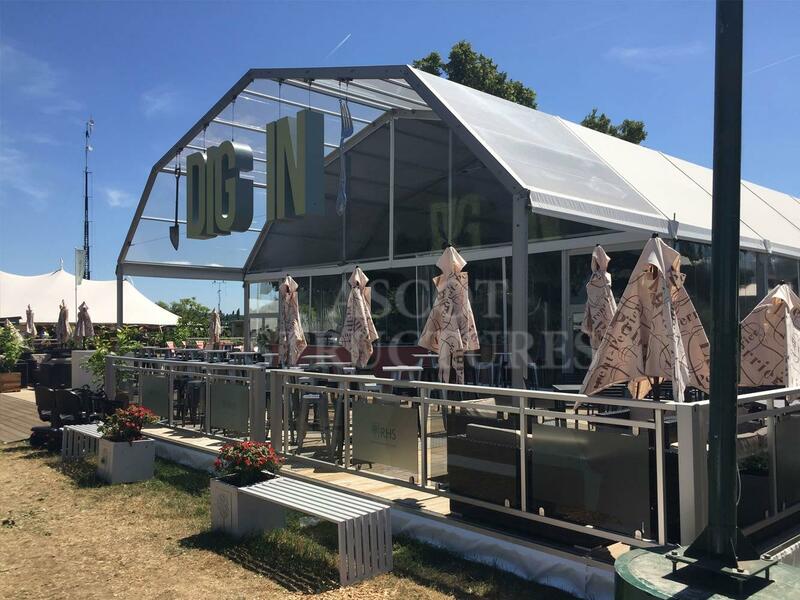 Our Polygon structure is available in a wide range of sizes and configurations. 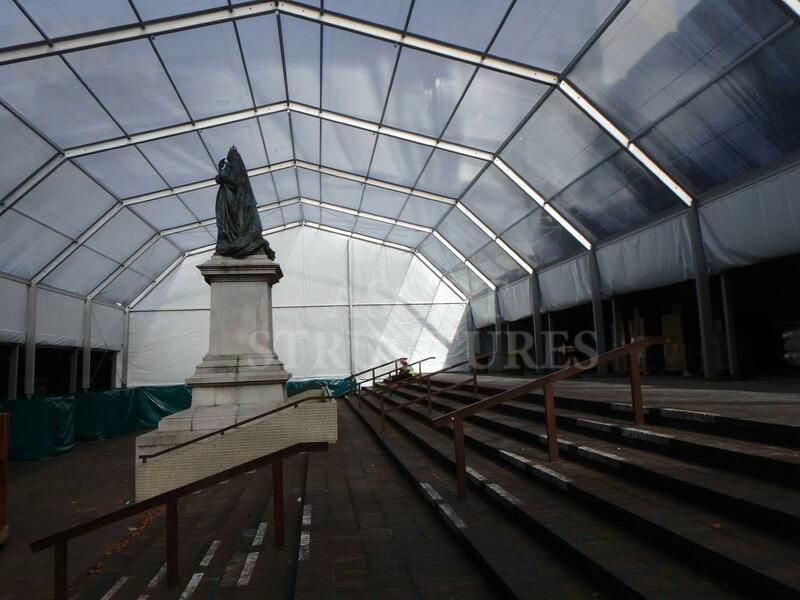 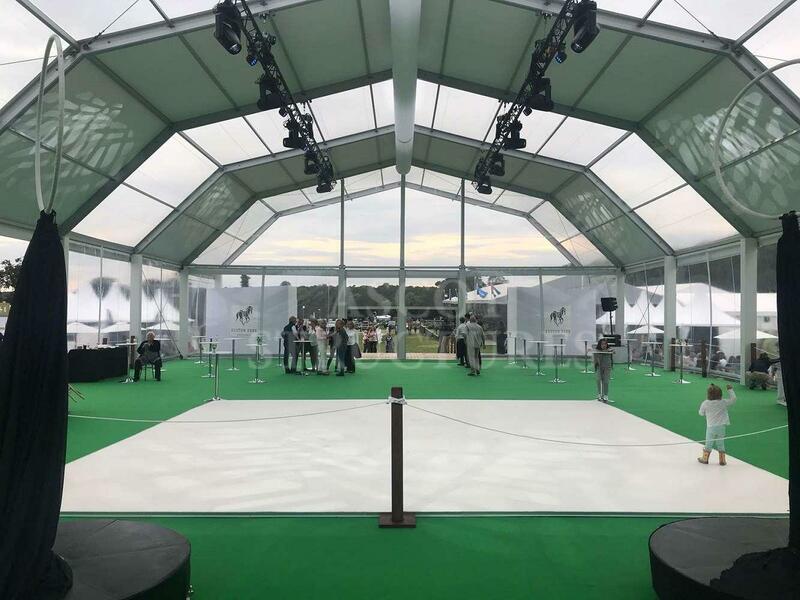 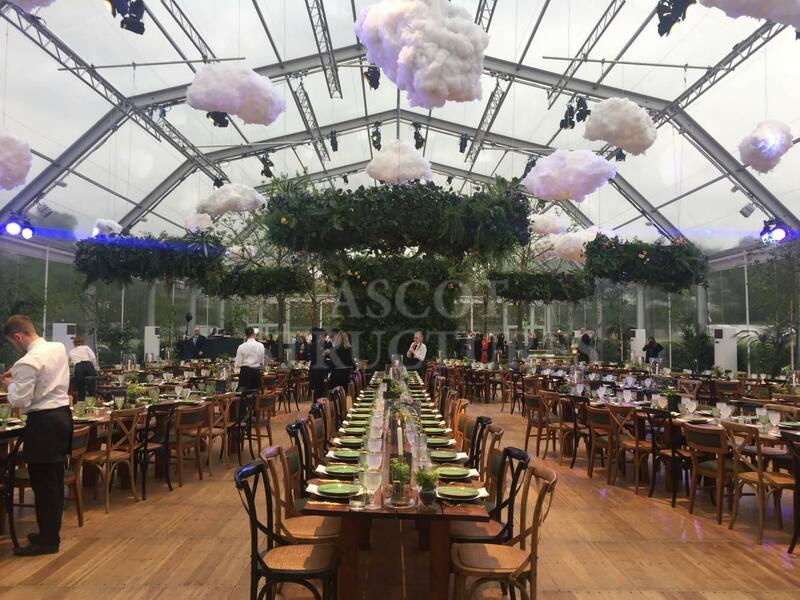 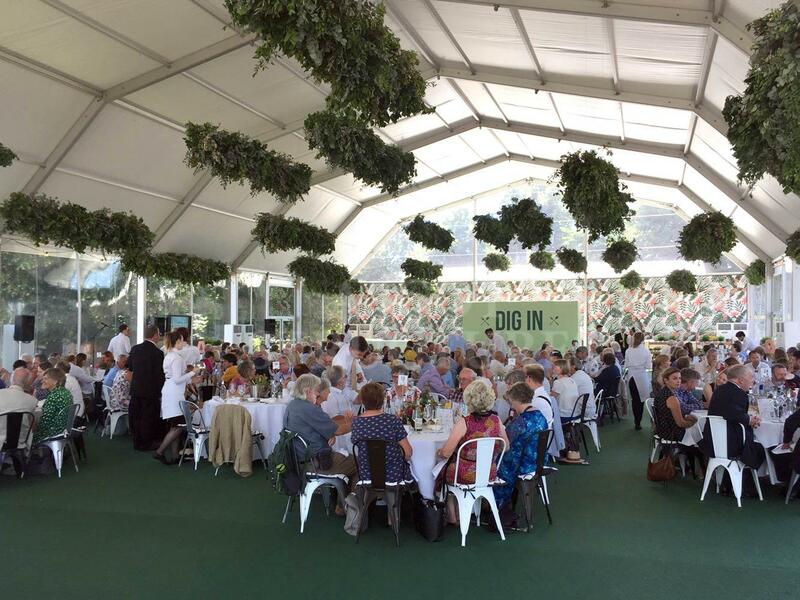 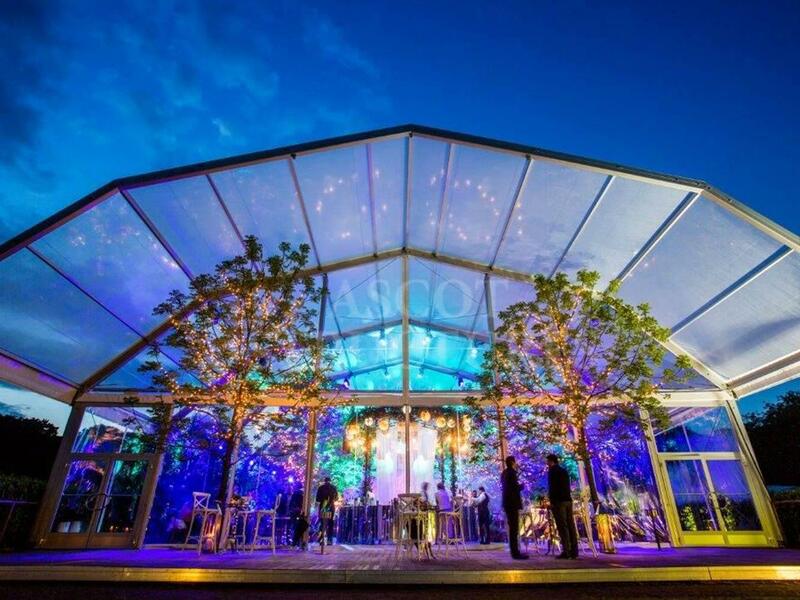 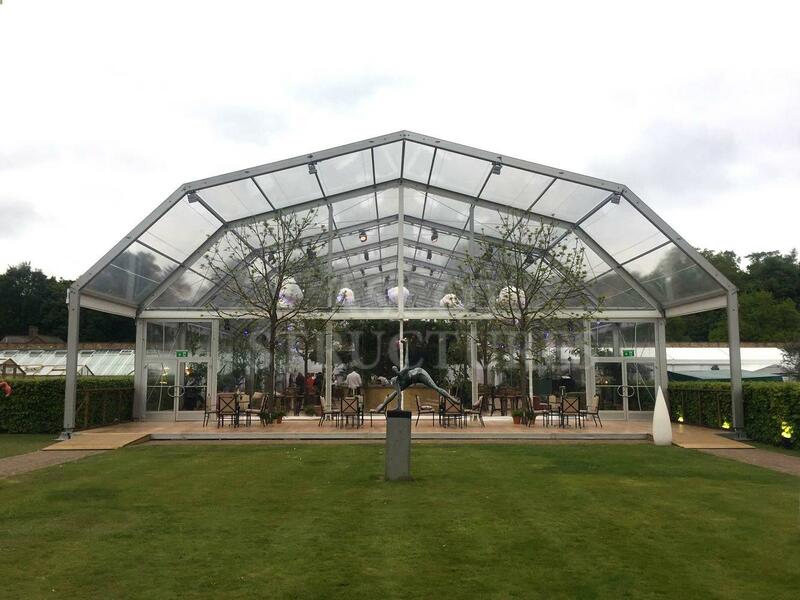 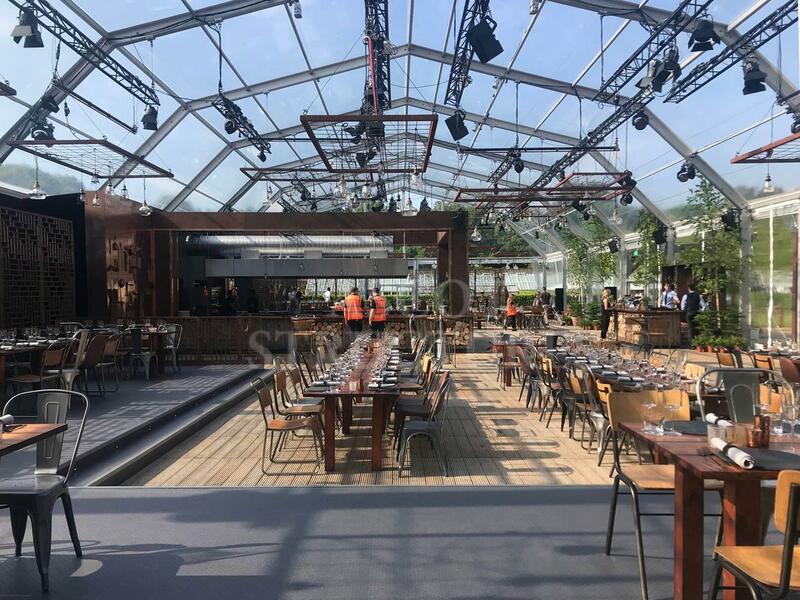 Our in-house team fabricates transparent roofs to make the most of your venue or scenery. 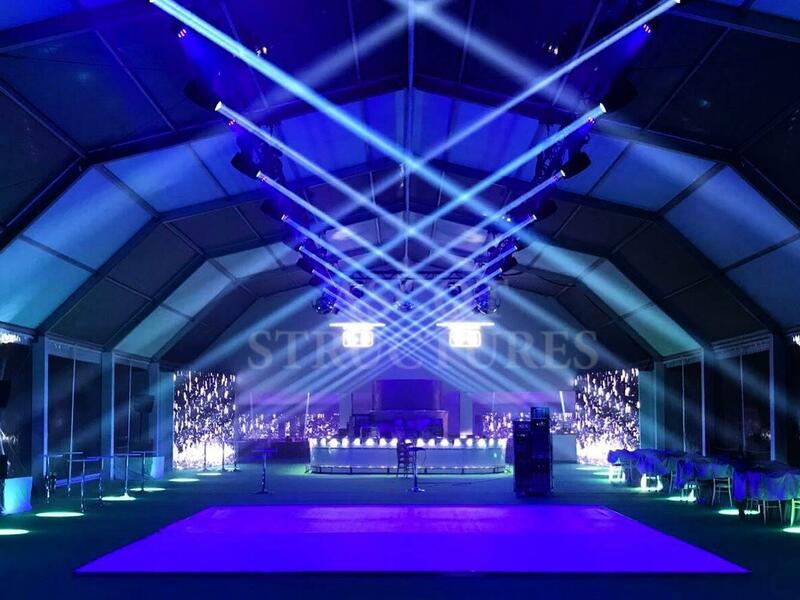 It allows you to create high ceilings and improved acoustic function. 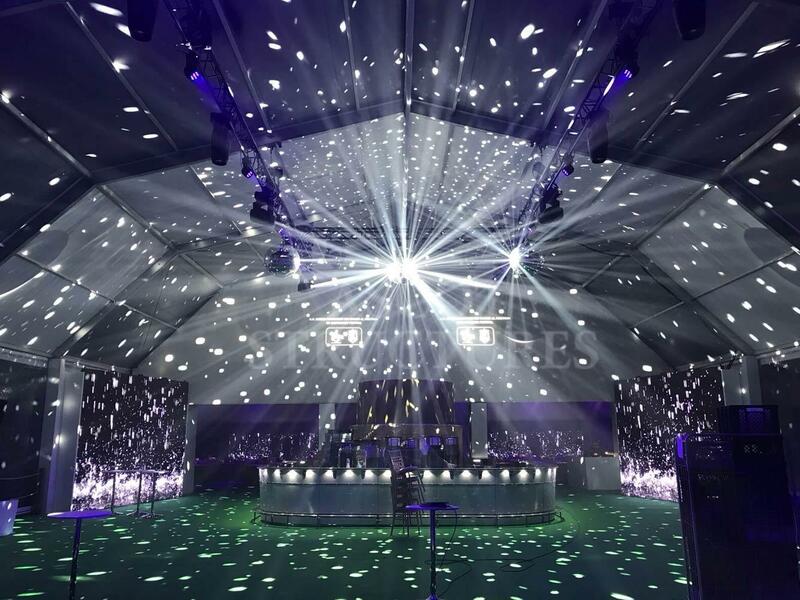 With a weight-load of just under half a ton per beam, it affords production teams the luxury of being able to install as much of the very latest in lighting and sound technology as they wish.